learning games are a bit scarce. The following suggested games are the most educational and accessible to preschool settings. Integrating one of these game to your Goldilocks lesson is a good way to use ICT (Information and Communication Technologies) in the preschool classroom, and children are sure to enjoy it! The first game suggested here can be used with the whole class. The others are only suitable for one child at a time, and so the number of children able to play will depend on the number of computers you have access to. These games will familiarize preschool children with the Goldilocks and the Three Bears story while contributing to specific cognitive skills development as well as ICT skills. This Goldilocks game can be played after going through the traditional story presentation it comes with, the BBC Snapdragon presentation. It gives the class or children sentences about the story, with a missing word replaced by a picture in the sentence. The missing word representing the picture has to be chosen from a list of 3 words at the bottom of the page. You must click on the correct missing word before going on to the next sentence or statement. There are 12 sentences or statements in total. When you reach the last one, you are asked if you want to play again. uipped with an interactive whiteboard. It should be led by the teacher, who can click on the answer given by the children. Alternatively, to involve the children more and make the game more interactive, the teacher could call out individual children to come to the white board and click on the answers themselves. It is linked to children's ability to recall the story as well as literacy skills, as the children have to associate pictures to written words. The good thing about this game is that all the children can participate at the same time. The downside of this game is that it is designed in such a way that you have to go through the presentation before playing the actual game. If you have already read or gone through the story with other media previously, it may be time consuming to do so again. Another downside of this game's design is that once you have finished playing and you are asked to play again, should you click 'yes', you are taken to the exact same statements requesting the exact same answers, repeating what you have just done, which the children could find boring–depending on the grade level. This online learning game is from the "Learn English Kids" website by the British Council. In this game, the person playing takes the role of Goldilocks, holding a bowl of porridge in her right hand. It is set in the bears' house and, as bears are passing in front of Goldilocks, she must toss the porridge, aiming at the bears' faces. You use the mouse to choose your target, and right click to toss away porridge. On top of the screen, you have bowls of porridge, used as dots to each represent a letter, all letters must form a word that is in the Goldilocks and the Three Bears story. Each time you hit a bear with the porridge, a letter is revealed. You win once you have found all the letters and revealed the word. This game is suitable to be played individually. It is also linked to literacy skills. This game may also encourage young children in early ICT skills development. As they play this game on their own, children practice mouse control, which is also bound to help their fine motor skills. This game will be popular among children as it is funny and enjoyable, and also because they are the main actors playing this game on their own. Unfortunately, this game can only be played by one child at a time, and you may therefore have to plan for other Goldilocks and the Three Bears activities around it. Children therefore may have to take turn to play this game, and the number of children playing in the same time will depend on your classroom or preschool setting's computer access. Another downside of this game is that the bears moving in the background sometimes do so quite quickly, and it may not be easy at first to target and hit them with porridge. This could frustrate some children, as they may take a long time to reveal a letter, and even more so the word suggested on top. That can also potentially impact on the number of children able to have a go at this game. There is no option for different levels of difficulty or speed, which could have helped with this problem. 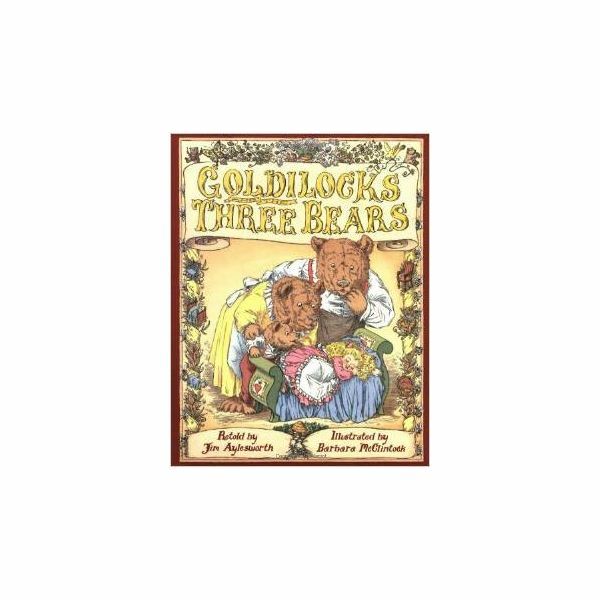 This Goldilocks online puzzle is a wonderful learning game for young children to play. You can shuffle the pieces and change the cuts in shape and number. There are therefore different levels of difficulties to this puzzle, which range from a six piece classic puzzle, up to 247 piece triangles. This online jigsaw puzzle is ideal to use with children of diverse abilities. You must drag and drop the pieces where you think they fit, using your mouse in order to solve this puzzle. You also have the option to time yourself when solving this puzzle. Again this game is suitable to be played one at a time. It can help children's mathematical development, supporting their knowledge of shapes and numbers, as well as their ICT skills. A good feature of this Goldilocks and the three bears online puzzle is the option for levels of difficulty, which are amazing in the range covered. The main downside is that, again, it cannot consist of a whole class activity, and must be planned for alongside other activities for the children not playing. All of the online learning games reviewed here have some educational value while remaining entertaining. They can be integrated in lessons about Goldilocks and the Three Bears, depending on the ICT facilities available in your classroom or preschool setting. You may also want to take into consideration other previous learning in order to adequately choose which skills or knowledge you'd like the children to focus on, and see how each of these games can fill the gaps, if any, in your lesson. Online learning games are generally a great resource for teachers to use to complement or reinforce any lesson's teaching and learning goals.